Andrew P. Dove is currently a Professor of Chemistry at the University of Warwick. Prof. Dove performed his Ph.D. studies under the supervision of Prof. Vernon C. Gibson F.R.S (Imperial College London). He then hold postdoctoral positions at Stanford University and IBM (USA). 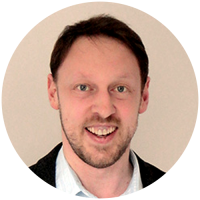 In 2005 Prof. Dove returned to the UK as an RCUK Academic Fellow before being promoted to Assistant Professor of Chemistry (2006), Associate Professor (2009) and Full Professor (2014). 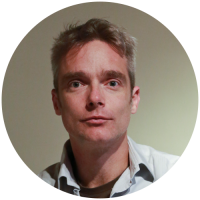 He currently holds an adjunct professor position at Monash University in Australia, a Royal Society Industry Fellowship and an ERC consolidator award. His group is focussed on the design, synthesis and application of novel biodegradable polymers for applications in sustainable packaging and tissue engineering. Research in the group encompasses the development of new catalytic methods for polymer synthesis, application of renewable resources in polymer synthesis, development of facile synthetic routes to multi-functional degradable polymers, control of polymer self-assembly for novel drug-delivery vectors and application of hydrogels and 3-dimensionally controlled materials in regenerative medicine. Prof. Dove is currently on the editorial advisory board of RSC Biomaterials Science, Macromolecules and ACS Macro Letters and is a fellow of the Royal Society of Chemistry. He was awarded the Macro Group UK Young Researcher Medal (2009), the RSC Gibson-Fawcett Award (2014) and the 2016 Biomacromolecules/Macromolecules Young Investigator Award. 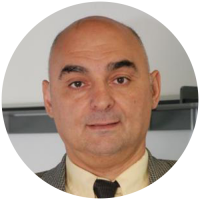 Artur M. S. Silva is currently Professor of Organic Chemistry at the Chemistry Department University of Aveiro. He is the President of the Portuguese Chemical Society, Fellow of the European Academy of Sciences and belong to the Executive Board of the EuCheMs. He is currently on the editorial advisory board of some SCI journals. He studied chemistry at the University of Aveiro (Portugal), where he graduated in chemistry physics in 1987. 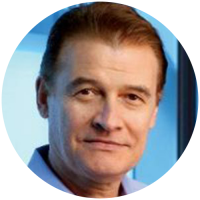 In 1993 he received his PhD in chemistry at Aveiro University, under the supervision of Prof. José Cavaleiro. He began his independent career at Aveiro University as an Assistant Professor in 1994. He was appointed to Associate Professor with tenure in 1998 and Full Professor in 2001. He has published over 530 papers (h index of 40), 39 book chapters, 2 patents and deliver more than 48 lectures. His research interests range over the chemistry of polyphenolic and nitrogen heterocyclic compounds, with special emphasis on the development of new synthetic routes and also on organocatalytic and metal-catalyzed transformations as well as on the synthesis of biologically active compounds. However, the second line of his research is centred on the isolation and structural characterization of natural and bioactive products from diverse terrestrial and marine sources. Carlos (1963) has a double background in Biochemistry and Condensed Matter Physics (University of Valladolid) and is Full Professor of Condensed Matter Physics at University of Valladolid. 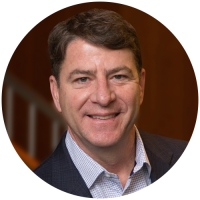 He is also CEO and cofounder of the company Technical Proteins Nanobiotechnology SL. He is the director of the Bioforge Lab, a research group founded in 1996 and devoted to the development of Elastin-like materials in a pioneering effort on the use of genetic engineering and other biotechnologies for the creation of advanced materials. Carlos has published more than 150 paper in indexed journals and is inventor on 15 patent applications, four of them transferred and under exploitation. Professor Carsten Werner was awarded the degree of Doctor in natural sciences (Dr. rer. nat.) in 1998 by TU Dresden, Germany. 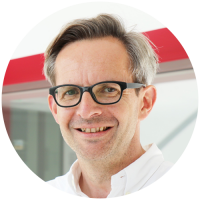 Since 2002 he is the head of the department at IPF, and Co-founder and Board Member of the Max Bergmann Center of Biomaterials Dresden, Germany. 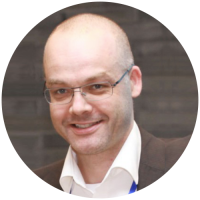 He is Co-founder and Board Member of the Center for Regenerative Therapies Dresden (CRTD) and speaker of the Research Area Committee Technology, since 2006. Moreover, since 2006, he is an Adjunct Full Professor in the Institute of Biomaterials and Biomedical Engineering, University of Toronto (Canada). He is presently chair for Biofunctional Polymer Materials at TU Dresden (CRTD and Department of Chemistry and Food Chemistry) and Director of the Institute Biofunctional Polymer Materials at IPF, since 2008. His main research interests are biointerfacial phenomena of polymer materials (electrosurface analysis, hemocompatible coatings), bioactive polymer matrices for regenerative therapies, biomimicry concepts in materials science. Catherine PICART received an engineering degree in Material Science (Grenoble Institute of Technology), a Master in Biomedical Engineering in 1994, and a PhD in Biomedical Engineering (University Joseph Fourier, Grenoble) in 1997. After a post-doctoral training in Bioengineering at the University of Pennsylvania (Philadelphia), she became Assistant Professor in Materials/Biomaterials at the Université Louis Pasteur (Strasbourg) in 1998. She was Associate Professor at the University of Montpellier 2 (2004-2008), where she also became member of the Institut Universitaire de France (2006-2011). She is presently Full Professor in Bioengineering/Biomaterials at Grenoble Institute of Technology and Senior member of Institut Universitaire de France (2016-2021). She received an ERC Starting Grant at the consolidator stage in 2010 (Biomim) and two ERC Proof of Concept in 2012 (Oscodi) and in 2015 (Bioactivecoatings). She has experience on red blood cell mechanics, characterization of self-assembled biopolymeric films by optical techniques, cell biophysics and tissue engineering. Her recent work is focused on the control of microenvironmental parameters to guide the formation of muscle and bone tissues. She is author of about 110 publications, 10 review articles and is currently member of the Editorial Advisory Board of Advanced Healthcare Materials, Tissue Engineering, Acta Biomaterialia, and ACS Applied Materials and Interfaces. Harm-Anton Klok is Full Professor at the Institutes of Materials and Chemical Sciences and Engineering at the Ecole Polytechnique Fédérale de Lausanne (EPFL) (Lausanne, Switzerland). He studied chemical technology at the University of Twente (Enschede, The Netherlands; 1989-1993) and received his Ph.D. in 1997 from the University of Ulm (Germany). After postdoctoral research with David N. Reinhoudt (University of Twente) and Samuel I. Stupp (University of Illinois at Urbana–Champaign, USA), he joined the Max Planck Institute for Polymer Research (Mainz, Germany) in 1999 as a project leader in the group of Klaus Müllen. In 2002, he joined the faculty of EPFL. Since 2012 he is Director of the Institute of Materials and also directs the Molecular and Hybrid Materials Characterization Center at EPFL. His research interests include polymer surface and interface science, polymer nanomedicine and polymer synthesis and functionalization. He is recipient of the Arthur K. Doolittle Award of the American Chemical Society (2007) and is Associate Editor of the American Chemical Society journal Biomacromolecules and serves or has served on the editorial advisory board of several journals. He has been a Visiting Professor at the University of Bordeaux (France) and the University of Massachusetts/Amherst (USA), is a Chair Professor at the College of Chemistry, Chemical Engineering and Materials Science, Soochow University (Suzhou, China), guest professor at the Changchun Institute of Applied Chemistry, Chinese Academy of Sciences, Changchun (China), Shanghai University (Shanghai, China) and Nanyang Technological University (Singapore) and was awarded a Chinese Academy of Sciences visiting professorship for senior international scientists (Institute of Chemistry, Chinese Academy of Sciences, Beijing). Insung S. Choi is Professor of Chemistry and of Bio and Brain Engineering at KAIST, Korea, and the Director of the Center for Cell-Encapsulation Research (Creative Research Initiative; 2012-). He obtained his BS and MS degrees in Chemistry at Seoul National University in 1991 and 1993, and did his PhD degree in Chemistry at Harvard University in 2000 under the supervision of George M. Whitesides. After postdoctoral work with Robert Langer at the Department of Chemical Engineering of MIT, he joined the faculty at KAIST in 2002. He was awarded KCS-Wily Young Chemist Award (2003), Thieme Journal Award (2003), Presidential Young Scientist Award (2004; KAST), and JANG SEHEE Research Achievement Award (2013; KCS). His research interests include biomimetic chemistry, cell-material interfaces, and biosurface organic chemistry. He has published over 220 peer-reviewed papers (>5500 citations, h-index = 40). 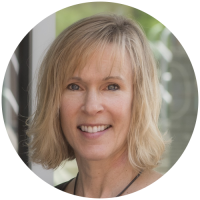 Kristi Kiick is a Professor of Materials Science and Engineering, Professor of Biomedical Engineering, and Deputy Dean of the University of Delaware College of Engineering. She holds a B.S. in Chemistry (University of Delaware) and an M.S. in Chemistry (as an NSF Predoctoral Fellow; University of Georgia). After working as a research scientist at Kimberly Clark Corporation, she rejoined the academic ranks as a doctoral student and received a Ph.D. in Polymer Science and Engineering (University of Massachusetts Amherst), after completing her doctoral research as an NDSEG Fellow (California Institute of Technology). She joined the UD faculty in 2001. Her current research programs are focused on combining biosynthetic techniques, chemical methods, and bioinspired assembly strategies for the production of advanced multifunctional biomaterials. Kiick’s honors have included several awards (Camille and Henry Dreyfus Foundation New Faculty, Beckman Young Investigator, NSF CAREER, DuPont Young Professor, and Delaware Biosciences Academic Research). She is also a Fellow of the American Institute for Medical and Biological Engineering and of the American Chemical Society, as well as a Fellow of the American Chemical Society Division of Polymer Chemistry. Kiick has delivered a variety of keynote, plenary, and memorial lectureships, and serves on the advisory boards of multiple international journals and research organizations. Professor Williams joined Wrexham Glyndwr University in 1978 and is Professor of Polymer and Colloid Chemistry. He was awarded the degree of Doctor of Philosophy in 1982 (University of Salford), Doctor of Science in 2009 and is a Fellow of the Royal Society of Chemistry and a Chartered Chemist. He has experience in the synthesis, physicochemical characterisation, solution and interfacial properties of natural and synthetic water soluble polymers with a particular emphasis on polysaccharides. He has supervised ~35 PhD and MPhil students to completion and has been able to attract research funding from Research Councils, UK & Welsh Assembly Government, EU, and Industry (£4M). Industrial collaborators have included GlaxoSmithKline, Unilever, Croda Europe and Cargill. He has published over 220 research papers, edited 42 books and has given invited lectures at major international conferences. He is co-founder and Editor-in-Chief of the international journal Food Hydrocolloids. 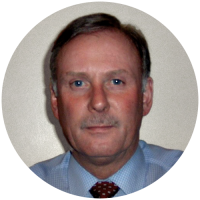 He has been involved in the organisation of more than 40 international conferences on behalf of the Royal Society of Chemistry, the Society of Chemical Industry, the Food Hydrocolloids Trust and the Cellucon Trust. He is a past Chairman of the Society of Chemical Industry Surface and Colloids Group and past Treasurer of the Royal Society of Chemistry Colloid and Interface Science Group. 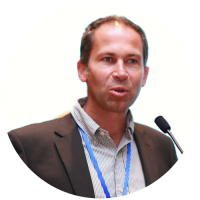 Sebastien Lecommandoux is currently Director of the “Laboratoire de Chimie des Polymères Organiques” (LCPO) and leading the group “Polymer Self-Assembly and Life Sciences”. 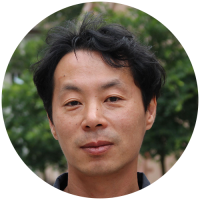 His research interests include polypeptide and polysaccharide based block copolymers self-assembly, biomimetic approaches toward design of synthetic viruses and cells as well as the design of polymersomes for drug-delivery and theranostic. He is especially recognized for the design of original polymeric nanoparticles, “bioactive by design” and stimuli responsive, able to load and release “on demand” molecular and biomacromolecular drugs (anti-cancer, peptide,…). He published more than 170 publications in international journal, 6 book chapters and 3 patents, with about 8000 citations (h-factor 42, wos). He recently chaired the ESF Research Network Programme on “Precision Polymer materials” P2M and in the board of the French Society of Nanomedicine (SFNano). He is Associate Editor for Biomacromolecules (ACS) and in the Editorial Advisory Board of several international journals, including Bioconjugate Chemistry (ACS), Polymer Chemistry and Biomaterials Science (RSC). Research Interests: Therapeutic Nanotechnologies, Drug-Delivery, Biomaterials; Bioactive polymers; Self-Assembly and SupraMacromolecular chemistry; Polypeptide and polysaccharide synthesis and self-assembly; Biomimicry for (bio)materials design. Virgil Percec was born and educated in Romania (PhD in 1976). In 1981 he defected his native country and after short postdoctoral stays at the University of Freiburg in Germany and University of Akron, US and he joined the Department of Macromolecular Science of Case Western Reserve University in Cleveland, US in 1982 as an Assistant Professor. He was promoted to Associate Professor in 1984 and to Professor in 1986. In 1993 he was awarded the Leonard Case Jr. Chair at Case Western Reserve University and in 1999 he was invited and moved to the University of Pennsylvania in Philadelphia as P. Roy Vagelos Chair and Professor of Chemistry. He has been repeatedly a Visiting Professor at the Universities of Freiburg, Ulm and at the Max Planck Institute for Polymer Research in Mainz (all in Germany) and at the Royal Institute of Technology in Stockholm. He has won more than 20 international awards and served as Editor of the Journal of Polymer Science Part A Polymer Chemistry (1996-2013) and of the book series Liquid Crystals (2007-2013). Currently he is on the Editorial and Advisory Boards of 22 International Journals, on the Scientific Advisory Boards of Symyx Company, Henkel Company, Molecular Foundry and Lawrence Berkeley National Laboratory both at the University of California at Berkeley and of the Australian Institute for Bioengineering & Nanoscience. He is a consultant to numerous US and International Companies and Governmental Offices. His research interest is at the interface between organic, supramolecular, macromolecular chemistries, liquid crystals, nanoscience and synthetic biology where he contributed over 740 refereed publications, 80 patents, edited 19 books and presented over 1200 endowed, invited and plenary lectures. Christopher Mann completed his PhD at the University of Western Australia in gene therapy for Duchenne muscular dystrophy in 2003 and subsequently went on to work as a post-doctoral researcher for 10 years at Kings College London (KCL) in the UK and Universitat Autonoma Barcelona (UAB) and Universitat Pompeu Fabra (UPF) in Spain in the fields of muscle disease and development, gene therapy and immunology. Since January 2013 he has been working in regulatory affairs and project management with a focus on biotechnological projects and advanced therapies including working closely with many companies and research groups in establishing translational pathways for early and late stage medicinal product development. 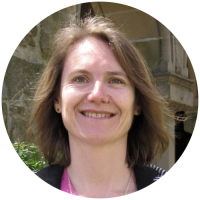 R&D Director at PRIMEX EHF since 2013, has a PhD in Biomedical Science (2010) and MSc/BSc (1997/1991) in Food Science. She is responsible of the research and product development at the company, emphasizing and determining business opportunities, and oversees the quality matters relating to the whole production. As a senior researcher at Matís (1992-2013), she has been involved in fish microbiological research with expertise in spoilage and safety of fishery products, biopreservation with chitosan among others, methods to extend shelf life of various fish products, predictive microbiology, development of preventive measures and application of probiotics in aquaculture. 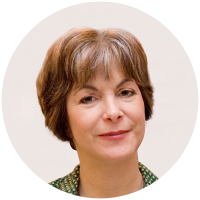 She has more than 30 peer-reviewed publications and over 25 years’ experience in coordinating, managing and participating in national, Nordic and European RTD projects. 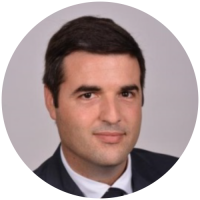 Rafael Antunes has a background in pharmaceutical process development with a MSc. in Technological Organic Chemistry, a Post-Graduation in Management and 17 years experience in the Pharmaceutical industry. He started his career at Hovione in process development and successfully transferred several product from lab to pilot and industrial scales. During 7 years he lead Strategic Sourcing with extensive auditing and negotiation experience where he did supplier identification, development and qualification. 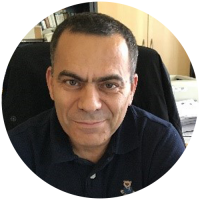 Currently, Rafael Antunes leads the R&D team that develops Hovione Products for both generic and new applications, patenting in challenging chemistries and formulations from steroids to antibiotics, particle engineering and flow chemistry. With several patents filed worldwide, his team has sponsored and managed multiple successful collaborations with the Academia, from analytical services to contracted research and supported traineeship, MSc and PhD programs. 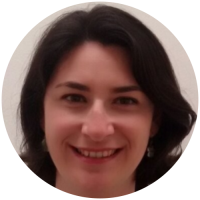 Susana Armário is a Patent Examiner since September 17th 2007, at the Portuguese National Institute of Industrial Property (INPI) in Lisbon, Portugal. In INPI, Susana examines patent applications mainly in the biotechnology and chemistry fields. She also participles in several international meetings regarding patent issues and provides training in Industrial Property to Portuguese companies and universities. She has a Degree in Biological Engineering from Instituto Superior Técnico (IST) and a Post-Graduate Degree in Economics and Management of Industrial Property at Instituto Superior de Economia e Gestão (ISEG). Currently she is attending a master course in Economics and Management of Science, Technology and Innovation at Instituto Superior de Economia e Gestão (ISEG). Before INPI, Susana worked for Jerónimo Martins Group as a Management Trainee and for the pharmaceutical company LusoMedicamenta S.A. (former Janssen-Cilag Portuguese factory) as a Validation and New Products Introduction Trainee.